Nothing is more beautiful than beautiful peony flowers so there's no better way to celebrate a your baby girl's communion than with these personalized invitations. Your baby girl is adored and cherished so it's only right that you celebrate in style. 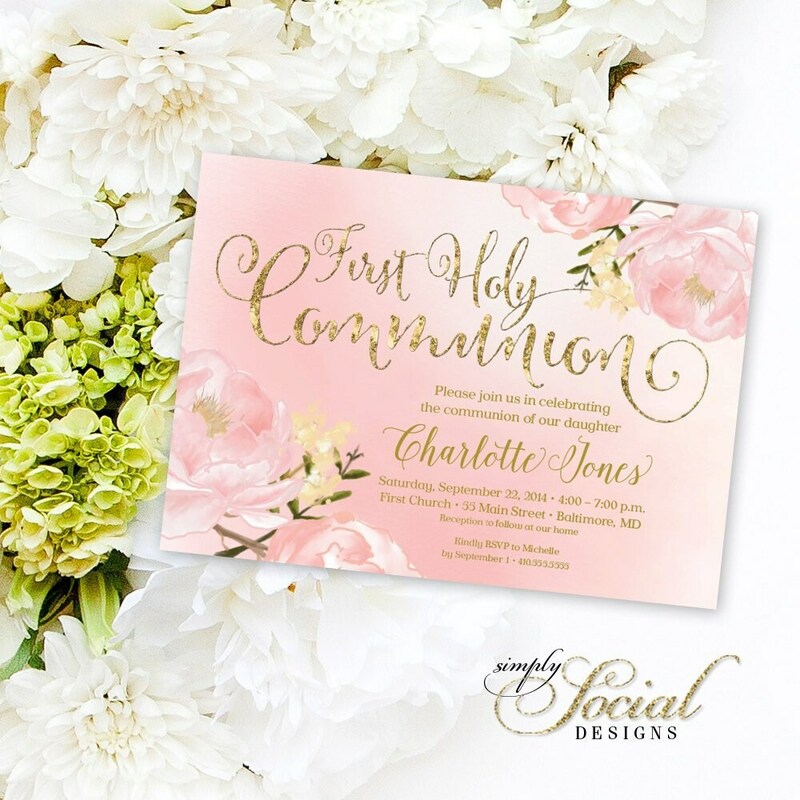 Nothing could be easier than with these floral printable communion invitations. 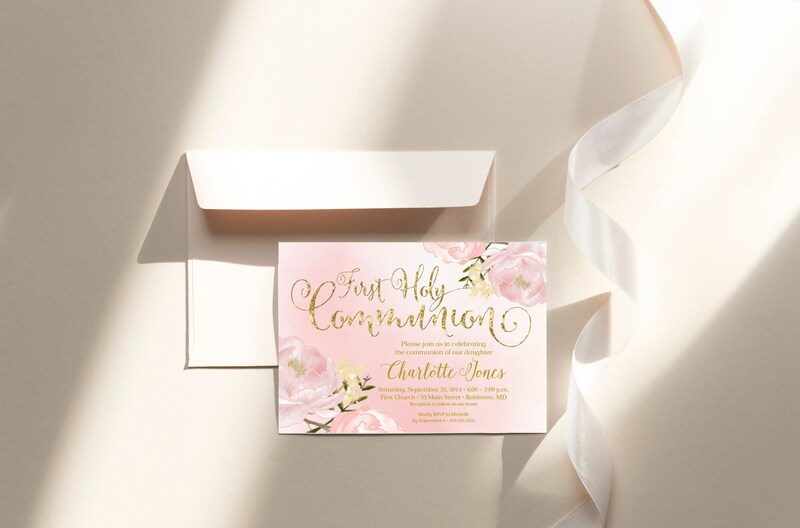 Entirely personalized with your information, the invitations have been designed with pink peony flowers and gold glitter lettering for a little extra sparkle. The botanical theme makes these custom invitations super stylish but also very girly. You could match the theme of your party by decorating your venue with pink flowers and gold confetti. Nothing could be sweeter. Absolutely perfect and beautiful! Will be first place I visit when I need invites! Beautiful artwork, so easy and fast.